Getting Value From Your Data Series: Who Is Your Target Customer? Of course, getting to “success” is not easy as anyone involved in an analytics project will tell you. This series walks you through our methodology on what it takes—from inception to proof of concept to implementation and deployment—to navigate project pitfalls. Now most of us have been involved with great analytics projects that answered no real need. In this post, we take a look at the customer, their pain points, and what benefits they may derive from your analytics project. 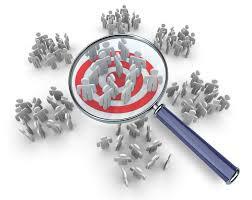 In other words: Who is your target customer? Is it your current customer base? Or is the customer a part of the value chain your current business creates? Or is it a new market— a completely new direction/industry/function for your company? In Acme’s case, potential customers would include the merchants in the area (new customers) as well as the City itself (product extension for a current customer). Acme is starting smart by piloting the project in one city. It selects San Mateo as the city it will use in its pilot analytics product effort. How will Acme’s customers benefit from the analytics? In the case of San Mateo, data from the parking meters along 3rd or 4th Ave downtown or meters in another local shopping center could give Acme specific information on shopping traffic and the length of stay. Acme’s credit card meters could potentially provide additional data (since the customer used a credit card to pay for parking) that could then be mashed up with the merchants’ data about their customers. But, as we’ve said previously, it’s not just about data—it’s also about the analytics that turn that data into actionable insights. Additionally, if the parking meter data is combined with weather and traffic sensor data from surrounding freeways, Acme would be able to model how external factors can impact parking and traffic patterns. Since the information is so valuable, Acme could make this an additional feature that its customers would pay for. In other words: a new revenue opportunity. The UPS store owner wants to correlate his current marketing programs to take better advantage of the shopping traffic near his store. He could build behavioral clustering models to help characterize his customers’ shopping patterns – what does parking behavior say about the other errands they are running when they visit his store? He could build co-operative marketing programs with other stores to help create new demand. He could build predictive models that let him know when traffic is slumping which signals that new demand generation is needed. These analytics could be potentially sold to the national UPS franchise office as well. A restaurant owner in the area wants to offer location based mobile coupons strictly following the peak (or non-peak) parking hours. Typical weather patterns could be correlated with the natural flow of traffic through the area and staffing hours could be refined to better match this predictive model, saving her from over-staffing on slow, bad weather days. She could also monitor parking and freeway traffic and decide in real-time that it is worth it to stay open an extra hour that night. The City wants to use meter data to notify citizens of a health concern. Say there is evidence of a salmonella outbreak from a street vendor in the area. City health officials could use individual PII data from parking meters to contact those that were in the area and encourage them to seek medical attention. If real-time weather information were mashed up with other data, the city could predict (based on high temperatures or other indicators) when a food-driven health concern might occur and then work with food operators to limit or prevent a health concern. What is the right delivery system for Acme’s customers? Do their customers just need a simple stream of analytics results to answer the questions they care about? Will they want to integrate the analytics with their own products/processes? Will they want to mashup other data sets or perform other calculations? A word of warning here: if you don’t carefully consider these questions up front, the switching costs are high. For example, it is critical you understand what will be required to integrate back into your customer’s enterprise system. In our experience, this is the area where companies make expensive mistakes that can often lead to failure: it’s not enough that you understand what analytics are needed, you must also understand how those analytics will be used in terms of existing systems or applications. This is the most important factor to consider when determining the data and technology environments to use as customer requirements will drive that selection. So if you get it wrong, the costs of a “fix” are expensive but if you get it right, you’ve successfully avoided one nasty wreck on the analytics highway. For Acme’s San Mateo pilot, the UPS store owner, restaurateur, and the city’s traffic engineer are all going to need regular (on a minute or hourly basis) updates as to what is happening outside his or her door. Since the data is fast (streaming), Acme’s analytics delivery platform will need to support it – lucky for them the PatternBuilders Analytics Platform supports real-time (Fast Data) and traditional batch analytics. As you can see, the answers to these questions drive all of your development and planning from here on out because different customer segments will have different requirements. Sound familiar? It should as this is Product Management (PM) 101. Also, note Acme’s decision to distill its customer down to a specific region and its business challenges and needs. Most successful projects (and products) start in proof of concept or pilot mode because it is far easier to start small and expand out. You are able to look at what worked and what didn’t, take appropriate actions, and then roll it out to other customers (or, in this case, customers in other locations). Now that we’ve found out more about Acme’s target customer, the next post will take a look at the team Acme needs to assemble to meet their target customers’ expectations.